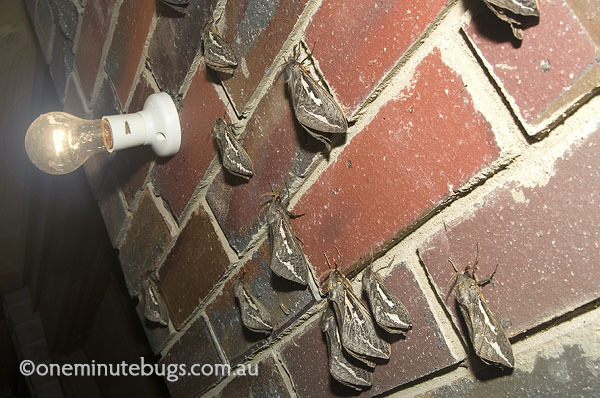 The Rain Moths are back! I see them every year and they never fail to intrigue and excite me. We have several species of moths in the family Hepialidae which visit our property, but by far the most numerous and most spectacular is the species Trictena atripalpis. 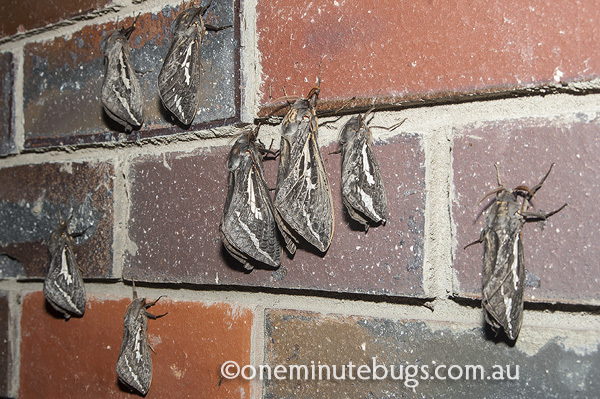 Ghost moths are members of the moth family Hepialidae and there are about 150 species found in Australia. The common name “ghost moth” comes from a European species whose white ghostly males are seen hovering over open ground in a conspicuous display flight to attract females. We have several ghost moth species at our place in the Grampians and the largest (15 cm wingspan) and most numerous is Trictena atripalpis (below). Common across the southern half of Australia, this moth and a couple of related species are known under common names such as ‘bardee’ or ‘bardi’ grub, rain moth, swift moth or ‘Waikerie’. 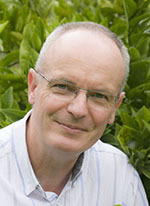 Little wonder that entomologists use scientific names when referring to particular insects! The moths only live for one day – their only role in life is to mate and, if female, to lay eggs. The moths don’t feed or drink because they don’t have the appropriate mouth parts to do so.